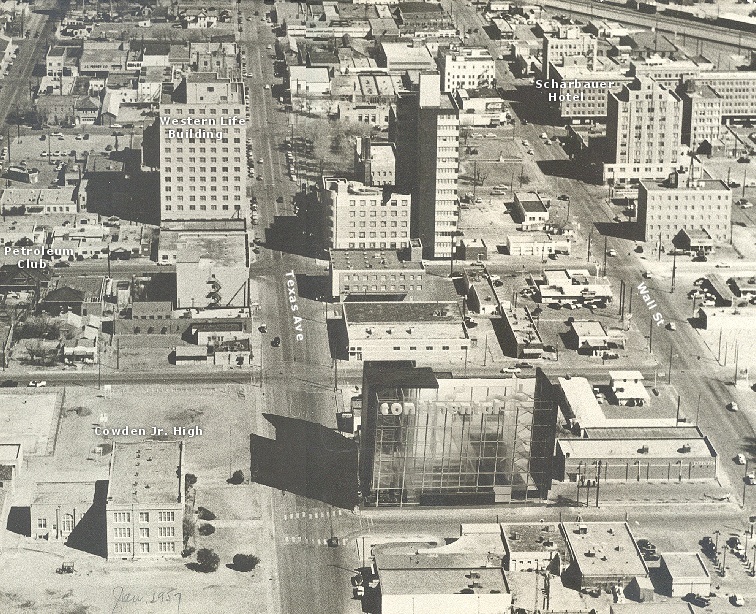 Downtown Midland, Texas in 1957 looking due east down Texas Ave. The courthouse square with the Statue of Liberty is visible across from the Scharbauer Hotel. The Petroleum Bldg. is hidden behind the Western United Life Bldg. Cowden Jr. High School is now the site of The Fasken Center. Of interest is the old Petroleum Club, then housed in a large and elegant old residence.